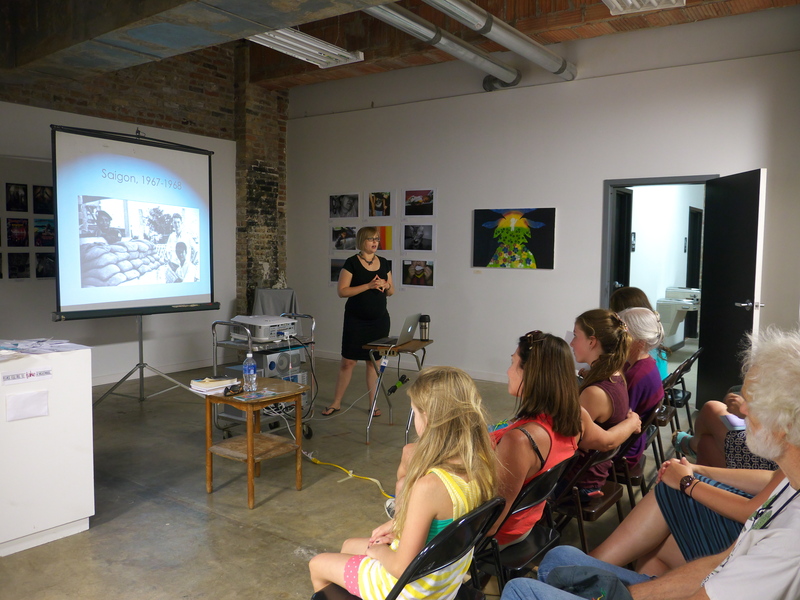 We had a great turnout for “Back to the Battlefield” at the National Veterans Art Museum in Chicago on Saturday. I opened the event with a presentation about the Vietnam War veterans who are living in Vietnam today and talked a little about the impact of unexploded ordnance on the country. 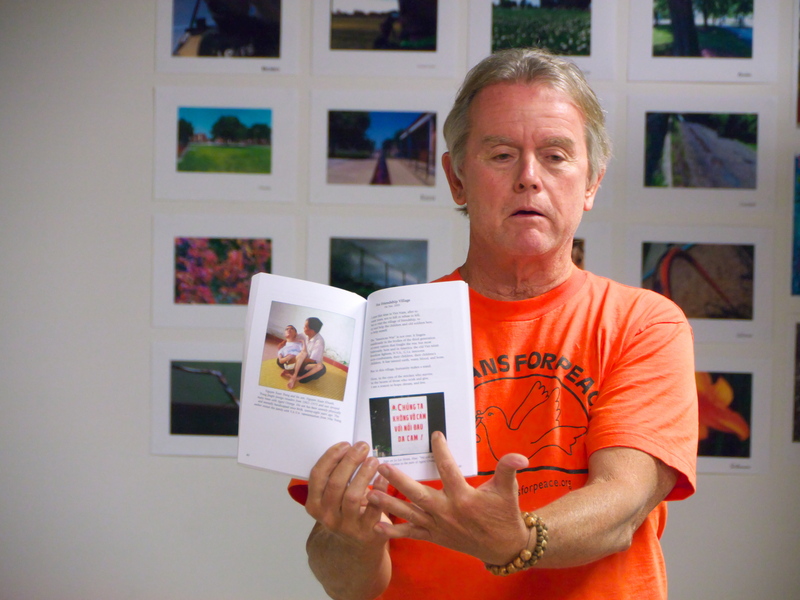 Then, veteran Don Blackburn spoke about his life in Nha Trang, Vietnam and read selections from his books of poetry and essays. The audience was enthusiastic and asked some great questions about the impact of Agent Orange and unexploded ordnance on Vietnamese people and how returning to Vietnam affects a veteran’s mental health.